During his college years, Nate Ebner was a standout rugby player on the All-American national teams. At age 17, he was the youngest player ever to play for the Men's Eagles Sevens. He was subsequently named MVP of the USA team at both the U19 IRB Junior World Championship in 2007, and the U20 IRB Junior World Championship in 2008. Ebner did not play football his first two years of college, as he was competing internationally in rugby, but then in his junior year he walked-on The Ohio State Buckeyes football team. Although it was his first time playing football, by year's end he was nevertheless considered the team's best special teams player. He played only a handful of plays from scrimmage at nickelback as a back up, but did record a sack. He ran the 40-yard-dash in 4.48. Ebner was drafted by the New England Patriots in the sixth round of the 2012 NFL Draft, 197th overall. 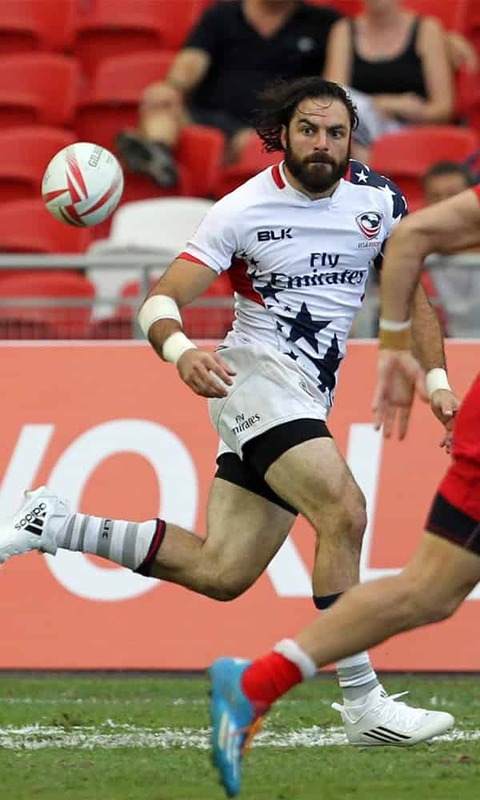 On March 15, 2016, one day after signing a two-year extension, the Patriots announced that Nate Ebner would be released so that he could prepare for and attempt to make the USA Eagles Sevens Olympic team! We are proud to support @Natebner34 in his effort to earn a place on the United States National Rugby team.